If I had to guess, I’d be willing to be that the number one complaint about tablets today is that they’re just not that easy to type on, at least for longer periods of time. Sure, you can use a Bluetooth keyboard on many, but that feels like more of an afterthought than anything. In fact, I would argue that it’s one of the biggest reasons business users might favor a laptop over a tablet as a secondary, mobile device. 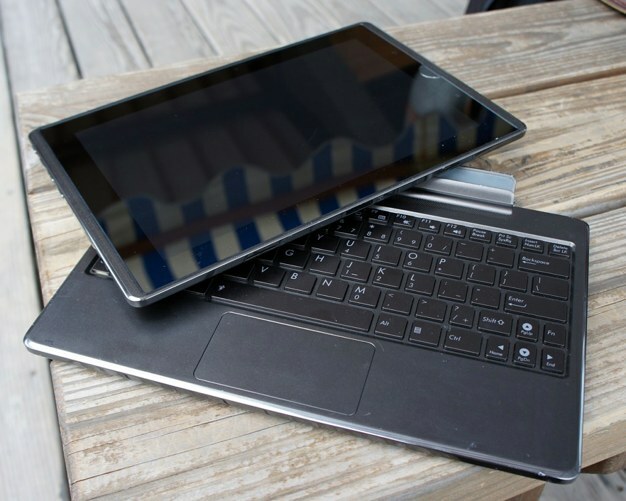 The ASUS Eee Pad Transformer aims to change that. As its name suggests, the Transformer starts out as a competitive, yet standard tablet. When paired with the optional laptop dock, however, it becomes an entirely new machine. Not only does the laptop dock provide a keyboard and multi-touch trackpad, it actually adds additional usage time with its built in battery. The ability to transform from a lightweight tablet to a highly productive laptop gives this unique device a lot of potential. As we’ve stated before, we believe devices like the Motorola Atrix are signaling a shift in mobile computing. The Eee Pad Transformer is helping lead this charge! Note: Are you looking to sync the ASUS Eee Pad Transformer with Outlook or another popular personal information manager? We have you covered: check out CompanionLink for PC and DejaOffice for Android! This entry was posted in Mobile Productivity and tagged android sync, asus, docks, eee pad transformer, mobile productivity, outlook sync, sync by David. Bookmark the permalink.